Do you want to copy a script in Scratch Jr from one character to another? You can! Follow these instructions to save time when building and editing scripts. Want to Copy a Script in Scratch Jr to Save Time? 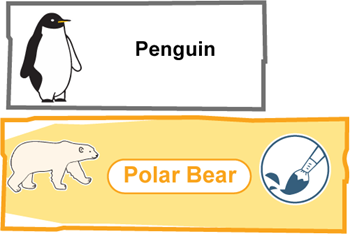 In this example, the penguin’s script will be duplicated for the polar bear. Select the character in Scratch Jr whose script you would like to copy. It should turn orange. Grab the FIRST block in the script. This makes it easy to copy a script in Scratch Jr. Select the FIRST block in the script. NOTE: The sample script moves a character slow forever. Drag the script from the programming area over top of the other character. 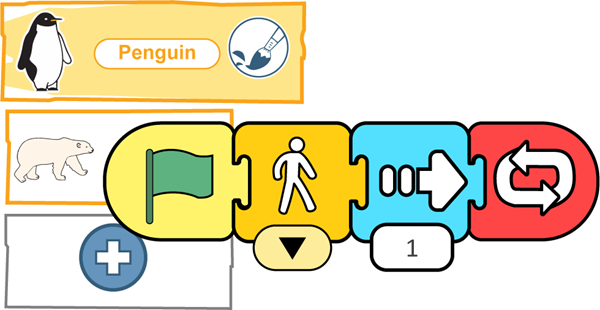 Drag the script over top of a character to copy a script in Scratch Jr. Select the character to see the copied script. You can keep the script the same. Or, you can edit the blocks to change what the character does. The copied script shows in the programming area. Are You Looking for Scratch Jr Coding Activities? Copying scripts is an advanced Scratch Jr coding skill. It is best taught to students that already understand how to use the app and are now interested in learning time saving tips. If you are looking for more programming hints, take a look at TechnoWhiz. It is a technology project with Scratch Jr lessons, published by TechnoKids Inc. The activities introduce computer science concepts to children in Grades 1-3. It has 16 assignments, 5 reviews, 5 skills reviews, and 6 extension activities. In TechnoWhiz, students build scripts and loops to design animations, games, and interactive collages. They learn how to copy scripts from one character to another, in the Invent a Far Away Planet skill review. 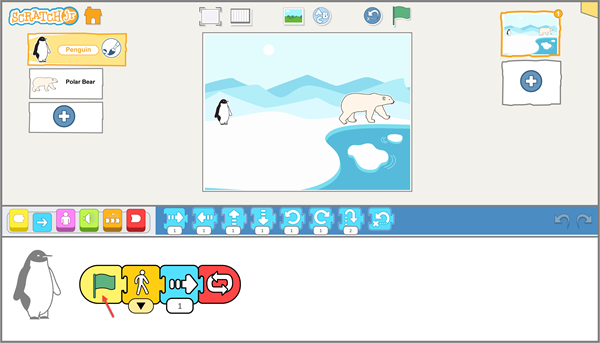 In this activity, the young coders create an animated scene with characters that move at different speeds. On this planet, there are two of everything. Everyone has a twin that looks the same. One of the twins moves fast. The other one moves slow. Watch the Planet of Twin video to see a sample of the fun projects students can make with Scratch Jr.